136 lucky winners and guests set off on Saturday 20 September 2014 for the holiday of a life time. Starting in Venice Italy, the cruise set off for Bari, Katacolon, Izmir, Istanbul, with a final stop in Dubrovnik. 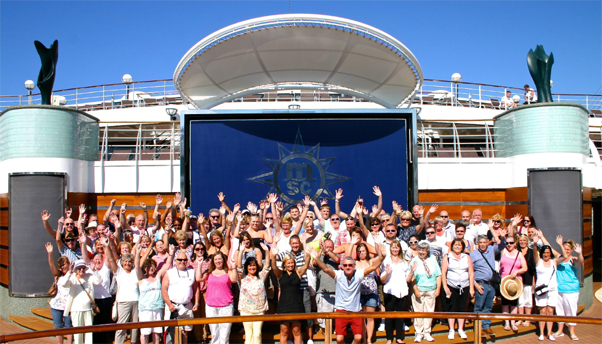 136 happy winners and guests returned home safely, with many new friendships having been made onboard. To see the full story and pictures of this amazing trip please visit the National Bingo Game Facebook page. CONGRATULATIONS ONCE AGAIN TO ALL OUR WINNERS.